So, Apple finally released the HomePod last week, and while reviews are mixed, one thing’s getting people pretty upset. The silicone ring that keeps the HomePod from bouncing around on a table has been leaving ring stains on wood surfaces. Yea, bet you didn’t expect that with a $350 speaker, right? But, thankfully there’s already a solution, a $20 leather coaster that’ll save your precious wood furniture from Apple’s innovative ways. 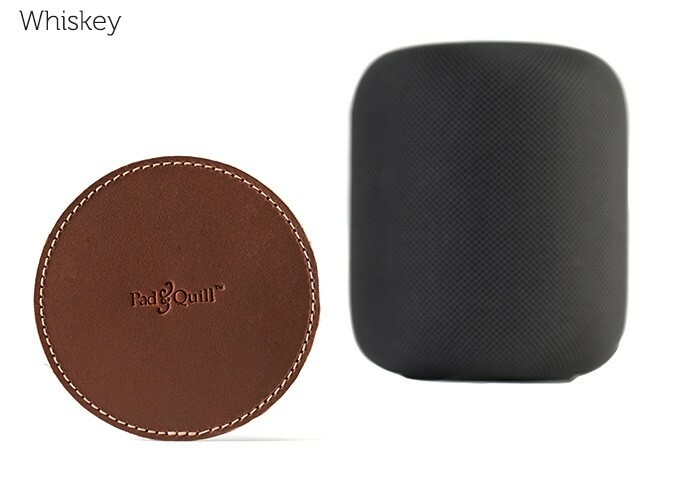 Sold by Pad and Quill, the coasters are made of “Marine-Grade” stitched leather, whatever that is, that’ll really complete your HomePod. You know, by keeping it from destroying your furniture. At $20, it’s not a bad deal. But, I don’t know why people are so quick to solve this ‘problem’, I know plenty of Apple-fanboys who’d kill for a Apple stain. And it doesn’t even cost extra, what a bargain.